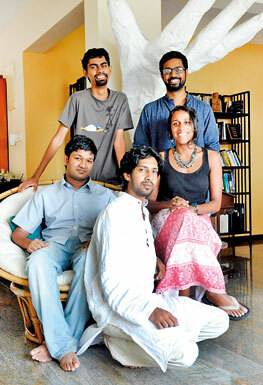 Their team of five now includes writer Savan Wijewardene and programmers Janith Leanage and Inosh Perera. Together they’ve posted reviews of 150 restaurants, 60 shops, 40 sites (places) and 25 bars in Colombo, not counting their features and comparison posts. “At the moment we average about three fresh reviews a day, so our database is expanding quite swiftly. We’re also beginning to move out of Colombo, covering places like Unawatuna, Nuwara Eliya, Kandy and so on,” Shruthi told the Mirror Magazine. They guarantee their objectivity by never accepting free food. Restaurants will never know they’re there. “You can’t�really get the sense of what a place is like if they’re making a special effort to impress you,” she says. Indi, Savan and Shruthi herself do most of the writing. “What qualifies us? We like food, we like writing and we have opinions–�everything we publish is just that, our opinion. We’re not trying to be mean or critical, but we express our views – we tell people if we think they’re being overcharged or if we feel their food isn’t�very good.” Where mainstream publications are likely to carry a cheerfully biased review, Shruthi feels Yamu is providing a much sought after thing – an unvarnished verdict. The Gallery Cafe is an obvious choice for a romantic meal, and with good reason. The garden is very pretty at night�–�if you like eating outdoors amidst the plants and stars, this is probably your best option. We’ve heard 1864 at the Galle Face Hotel can be very romantic as well. Probably the Meal Centre in Kalubowila�–�they do an excellent lunck packet for Rs. 130. Lots of chicken, parripu and veg�–�it’s�a generous, tasty meal. 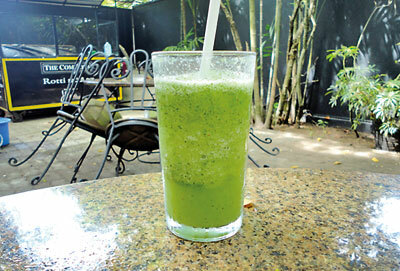 I’d�either go for a lime and mint frappe at Commons or iced tea at Barefoot. These are two icy, refreshing drinks that do a good job cooling you down on a balmy day. In which direction would you point a dessert fiend? Home baker Dushinka Subramaniam–�known as Munchkin�–�does amazing desserts. Red velvet cupcakes, French macarons, madeleines��you name it. Colombo’s�got a lot of great home bakers, but she’s�definitely one of the best. The Gallery Caf�,�again, is always a safe bet. Where can you find the best trinkets? 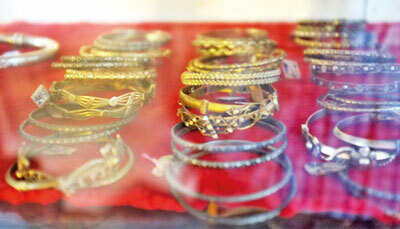 There’s�no one stop shop for this, but Hewage’s�& Sons Jewellers in Fort sells some stunning antique jewellery. They’ve got a good selection, ranging from the very affordable to the very expensive�–�you can get antique silver bracelets/rings for�Rs. 3, 000 or a beautiful 100 year old sapphire hairpin for Rs. 75,000! Where’s the perfect weekend getaway? The Marble Beach Airforce Resort in Trinco. The hotel sits on one of the island’s best beaches�–�the water is clear and blue and beautiful, and you might even be the only people there�–�the area has�only recently been opened to the public.